How to use training pace calculator? 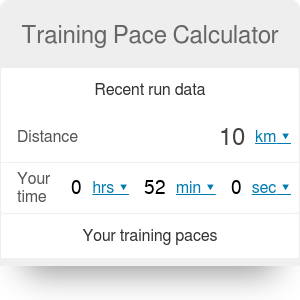 Training pace calculator is a great tool for all runners who do various types of training. Exercising a lot is not the point, train properly - that really matters. Our calculator provides you custom run paces for training, based on your recent race results. Check the article below to read more about types of training (e.g., tempo run) and see how to use our running calculator. Take this step, and help yourself to be the aware runner! If you want to improve your results, you need to follow an oriented training plan (e.g., with various types of training load). To do it properly, you need precise data to control your organism. You can base, for example, on your actual heart rate. We recommend a different way - to use this training pace calculator and train with your personalized paces. Are you a bit confused what all these speed run, tempo run,... etc. mean? Don't worry, you'll find a short explanation for each type of training below. This type of training improves your aerobic fitness and builds muscular and skeletal strength. It is very good as a recovery after hard workouts or races and also helps to burn more calories. Currently, running experts and trainers suggest that most runners should do 80-90% of weekly training at their easy run pace. Many coaches like Jack Daniels say "Tempo runs are one of the most productive types of training.” Tempo runs provide direct benefits in longer races. They are a good preparation for longer races - starting from 10 km up to the marathons. Athletes in this range will receive the most profits from tempo runs. The training improves your running economy and form. Running at tempo pace should be done more than once a week, no more than 10-15% of the total training time. Intervals are the concept of alternating high and low intensity exercise. For example, you run close to a maximum speed (near 100% of your maximal aerobic capacity - VO2 max), then rest or run at an easy pace to recover. These runs are the best training for 5km up to half-marathon races. Depending on your race goal, the intensity and distance of VO2 max sessions will vary. Interval training should be done no more than once a week and last 10-15% of the total training time. This is also an interval training but suited for shorter distances, e.g. 800 m to 5 km. For example, if you are focusing on a 5 km or a mile race, you should choose shorter intervals with a higher speed than if you were training for half-marathon (VO2 max runs). Also, do speed runs no more than once a week, with 4-8 % of the total training time. Long runs form the basis of all marathon training programs. They improve many aspects (like muscles strength), but their main purpose is developing an aerobic endurance. 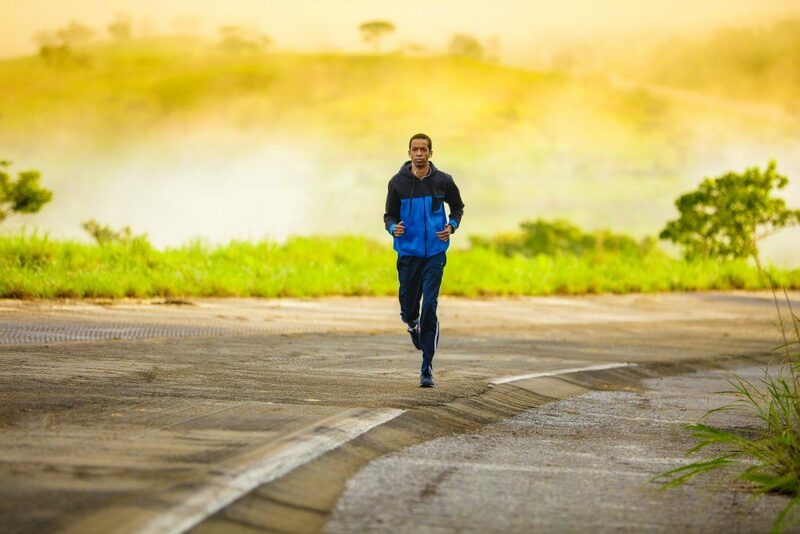 Unlike aerobic capacity (maximum speed and capacity of the cardiovascular system to exchange and use oxygen), aerobic endurance is more like different gears in a car. You are using a moderate gear over a longer distance. This is often referred to as your training economy. We recommend to keep the pace of your long runs in a range spanning from the easy run pace to the value displayed in the "long run" field in our training pace calculator. Most training plans advise at least one run a week that is longer than the others. Long runs are a structured way to extend your ability to run longer and longer distances as you prepare for a specific race distance goal. Training Pace Calculator can be embedded on your website to enrich the content you wrote and make it easier for your visitors to understand your message.